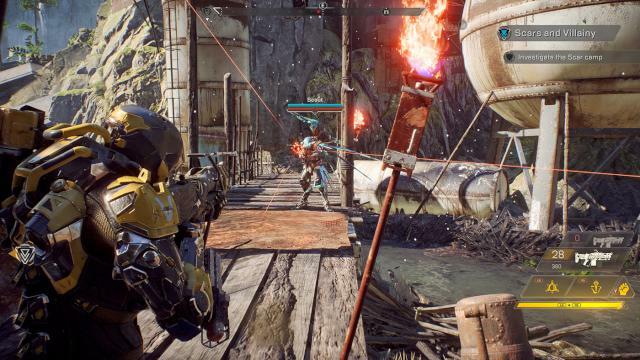 Anthem was meant to be Bioware’s next big thing. Dubbed by onlookers as a potential Destiny-beating loot-filled shootathon with cool flying suits, expectations were extremely high. But as is often the case with games that are hyped up out of all proportion (looking at you, No Man’s Sky) the end result was seen as being disappointing, with those playing the game for 10 hours a day feeling let down with a lack of final content and some weird bugs making things less than ideal. But it’s been a few weeks now. This isn’t the same Anthem that launched a few weeks ago. Several updates have arrived (9 in the first 45 days of the game’s availability in fact), and I think I’ve found the reason I’ve enjoyed Anthem so much more than quite a few others: I haven’t played it for 10 hours a day. Don’t get me wrong, I’m not suggesting that it’s ok for games to be released when they’re unfinished, but gaming nowadays is a fairly fluid entity. Let’s take the aforementioned No Man’s Sky as an example. Initially the game was released to a lot of anger, with things not matching up to the developers’ pre-release suggestions, and the visuals taking a step backwards. Some time later, and with a raft of updates having been released and more on the way, it’s a fantastic title and one of the better selling games from the past couple of years. But the reaction depended on how you were playing. I was more than happy flying around and exploring, seeing the various worlds the game had to offer and making slow progress through the story; I saw it as an exploration game, and I really enjoyed it, while others got annoyed by the lack of multiplayer and narrow variety in the planets and weird animals it served up. But the game changed, it adapted, and those who have played the game recently have most likely forgotten about the dodgy release. But the key reason why it didn’t bother me was that I was playing for an hour or two at a time; I didn’t try to plough through the game in two sittings. And so we come back to Anthem, a game I’ve played for an hour or two at a time. I’ve taken my time working through the story, I’ve carried out extra missions and contracts when they’ve appeared through talking to people at Fort Tarsis (the mini-city you’ll explore between missions), and I’ve battled through some strongholds to try out more challenging situations. I’ve gathered new abilities, new weapons (including a super sweet explosive sniper rifle), and unlocked each of the different javelins to hop into before heading out. I’ve experimented with the vastly different playing styles needed to maximise each of the javelins’ abilities, keeping my distance with some while happily diving into the heart of a battle and smacking the hell out of anything that comes near with others. And among all of this, I’ve struggled to see what the problem is. I’ve been disconnected twice, so that’s a bit of an arse, but hardly gaming breaking, and I’m yet to experience the frustration of rubbish loot drops that a lot of players are moaning about. But that loot issue isn’t overly different to the likes of Destiny, which could be equally thrifty with top end gear once you hit a certain level. I understand that while Bioware experiment with the quantity and quality of high end loot that players are going to get annoyed by the inconsistency, and for those people who like to put 30 hours a week into their games I can imagine that has a far bigger impact than someone who doesn’t put as many hours in. For me, a guy with a family who doesn’t have free reign of when and how long I play my games, dipping in and out for an hour or two at a time has allowed me to really enjoy Anthem, and I know I’m not alone in that particular combination. It stands to reason though that you can’t review a game based on what might come later down the line, but you can acknowledge the work already done by the developers and appreciate what’s good about the game already, and in that respect Anthem has already become far more than the game it was. I accept that things weren’t what they should have been at launch, and despite my thoughts that this is a game which didn’t favour those putting plenty of hours in, you can’t release a game under the expectation that people will patiently work through at a steady pace while you work on ironing out the issues. When people spend money on a game, they should be able to play it however they want to. So I’m not suggesting the game is perfect, nor am I suggesting that it’s right for everyone and the updates have fixed everything. 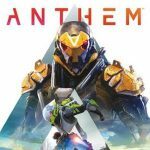 But what I am saying without any reservation, is that Anthem is genuinely good fun to play, and has improved considerably since its launch. There’s a good challenge here with various missions and the option to replay them at a much tougher difficulty, it’s great with friends and the combo abilities whereby you can prime an opponent before hitting them with a detonating attack for extra damage adds a really cool level of cooperation between players. It’s a great looking game too, and as you swoop between the cliffs or dive underwater to explore the depths you’ll most likely forget about the other issues for a moment and just appreciate what’s going on around you.There’s a lot to like about the game, and I worry that all that has got lost in the barrage of negativity that’s been thrown around. There is still a journey ahead for Anthem, there’s no question of that, and even at my lower rate of playing I’ve found a few small annoyances such as having no direction of any kind when in the freeplay mode, but if you’re not planning on spending every available moment in the game then I can definitely recommend it. You are very much the minority in your opinion of this game. Unfortunately most active gamers are not playing for only 1-2 hours. And guessing from your comments you did not play through the demos or launch day. The game I. It’s first 30 days had miles of issues that yes did get addressed. Her s the thing about playing games on console, the variety of games is considerably small and they cost quite a lot. So when you buy a game especially when you don’t have dedicated time to playing, you feel compelled to rationalize your investment to make it seem like it was worth the money you sank into it. I played the game 3-4 hours at a time with a group of friends and still hit the end game content in under a week (on PC) and then found myself fully geared within the week after. That is by no stretch playing it like a second job and ran out of content very quickly. I feel as though you’ve made a lot of excuses to BioWare and as a reviewer should be much more critical for the what they released. I’m also guessing you haven’t kept up to date with the gaming community and read the article released by kotaku where even biowares own staff thought the game was rushed and half finished. But here’s the thing. I didn’t review it on launch day. I didn’t review it from the demo. I reviewed it last week, and I reviewed the version of the game that was available on the day the review went live. I know the game didn’t have a great start, and I know that people are angry, but I’m not going to change my review based on other people’s opinions, nor am I going to retrospectively reduce the score based on what the game used to be. No, it’s not perfect, that’s why it got a 7. But what’s the point in writing a review to explain what a game isn’t like any more?